Home » SEO blog » Technical SEO » Noindex a post in WordPress, the easy way! Noindex a post in WordPress, the easy way! Some posts and pages should not show up in search results. To make sure they don’t show up, you should tell search engines to exclude them. You do this with a meta robots noindex tag. Setting a page to noindex makes sure search engines never show it in their results. Here, we’ll explain how easy this is in WordPress, if you use Yoast SEO. Why keep a post out of the search results? Why would you NOT want a page to show up in the search results? Well, most sites have pages that shouldn’t show up in the search results. For example; you might not want people to land on the ‘thank you’ page you redirect people to when they’ve contacted you. Or your ‘checkout success’ page. Finding those pages in Google is of no use to anyone. Not sure if you should noindex or nofollow a post? Read Michiel’s post: Which pages should I noindex or nofollow? On the advanced tab, you’ll see some questions. The first is: “Allow search engines to show this post in search results?” If you select ‘Yes’, you’re post can show up in Google. If you select ‘No’ you’ll set the post to noindex . This means it won’t show up in the search results. The default setting of the post – in this case Yes – is the setting you’ve selected for this post type in the Search Appearance tab of Yoast SEO. If you want to prevent complete sections of your site from showing up in Google, you can set that there. This is further explained in Edwin’s post: Show x in search results?. Please note that if the post you’re setting to noindex is already in the search results, it might take some time for the page to disappear. The search engines will first have to re-index the page to find the noindex tag. And do not noindex posts frivolously: if they were getting traffic before, you’re losing that traffic. 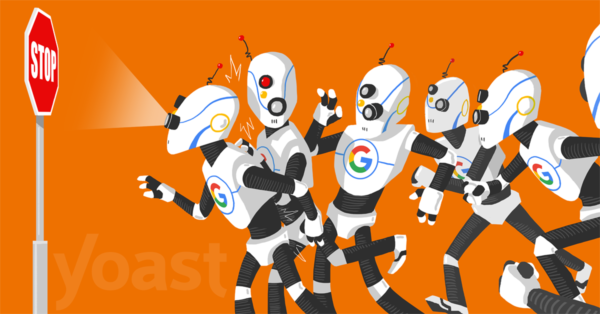 Were you considering to use the robots.txt file to keep something out of the search results? Read why you shouldn’t use the robots.txt file for that. Do links on noindexed pages have value? This will set the meta robots tonofollow, which will change the search engines behavior. They’ll ignore all the links on the page. Use this with caution though! In doubt if you need it? Just check Michiel’s post right here. 12 Responses to Noindex a post in WordPress, the easy way! If the category pages are showing excerpts, is “no follow, index” still the best way to go? Ideally, to avoid indexing with duplicate Title, it is recommended to have noindex, follow meta robots attribute. Hi Mr. Kingshok, There are cases in which you should nofollow links, but those are the exceptions! After setting up my Yoast SEO, do I need another thing to have my post get to first page of search engines? Yes, you should! Installing our plugin is the (very crucial) first step, after that you should start creating excellent content with the help of our plugin. You can read it all here: https://yoast.com/what-cant-yoast-seo-do-what-should-you-do-yourself/ Good luck! Glad you appreciate the feature, Matt. Happy testing! Nice article. I have always wanted this on my website. 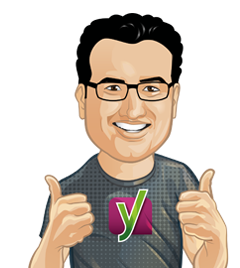 Hello, I have been using Yoast SEO plugin since years. I really liked the product and planning to Pro version. Where can I find the list of features I will get using Pro version? and Also I wanted to ‘nofollow’ all the links on my website. Yoast plugin has this feature?